J.D. Salbego is a recognized strategic digital & growth senior executive, startup advisor, and international speaker spearheading projects for some of the biggest global brands, spanning across America, Europe, and Asia. He is COO of U.S. for Patron-Forbes #1 Blockchain Startup 2018, a Japanese Blockchain startup who had the largest ICO in Japan at $40M. As an entrepreneur himself, J.D. is Founder/CEO of Legion Ventures, a global consultancy helping companies with digital transformation, ... See More growth strategy and global expansion. He advises a number of companies including Google’s Startup Grind, organizing Tech and Blockchain Conferences globally (co-organized the largest Blockchain Conference in Japan’s History – nationally televised with 15,000 attendees), and advising the US & APAC Startup Grind Directors on growth strategy. As a highly effective executive with multidisciplinary expertise, throughout his career he has focused on digital innovation, growth strategy, branded activation, and A-List celebrity content. He has developed and negotiating National and international strategic partnerships with Multi-Billion Dollar Fortune 100 & 500 Companies like NBC, YouTube, WMG, FOX, UMG, Disney, Shazam, Sony, etc. His specialties include growth strategy + analysis, sales + acquisition, leveraging digital innovation and technology to increase revenue and market adaptability, content packaging + monetization, capital financing, and all facets of marketing with 11+ years’ experience across B2C + B2B tech. 17 years’ total in the entertainment business. Jared is a Venture Partner at Blockteam Ventures and a blockchain marketing advisor. He has worked with over 50 ICOs in either a marketing or advising capacity, raising over $450M. 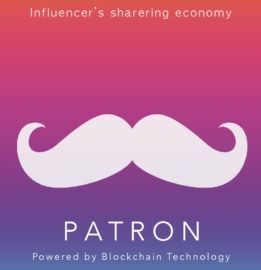 Some notable projects include Elastos and Patron (where Jared is currently the CSO). Previously, he led marketing/PR for Ardent Capital, a leading VC firm in Southeast Asia. Jared's career started at the FBI, where he was an Intelligence Analyst working Securities Fraud in New York. He holds a BBA from UT-Austin and a Master's in Finance from Sciences Po Paris.